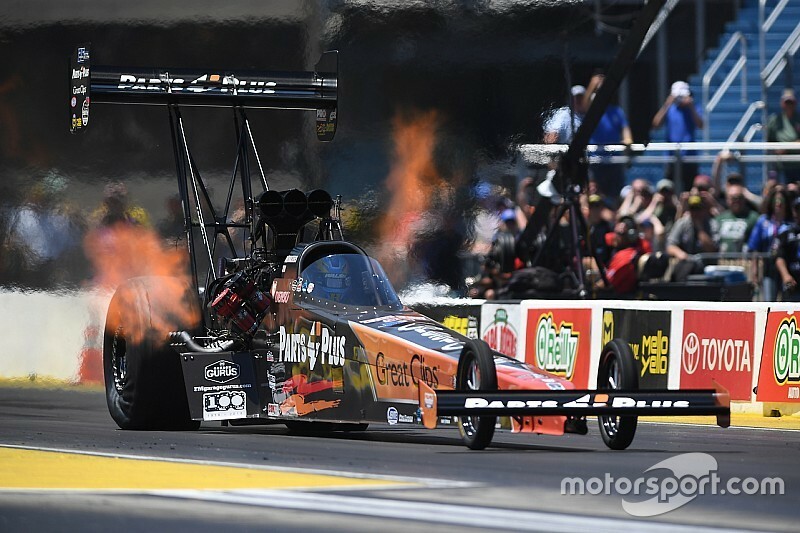 Millican piloted his Parts Plus/Great Clips dragster to a 3.894-second pass at 289.32mph to secure his third career win, defeating Leah Pritchett in the final round. 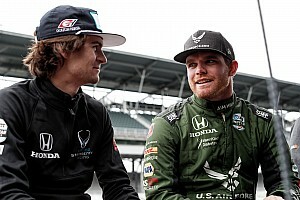 Along the way he defeated Pat Dakin, Scott Palmer and Doug Kalitta. 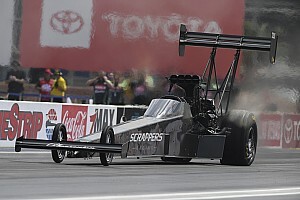 With his second straight win, Millican moved to second in points behind No. 1 qualifier Steve Torrence. Pritchett, who beat teammate Antron Brown, Kyle Wurtzel and Blake Anderson, climbed to third in the standings after her second final round appearance of 2018. Hight, the defending Funny Car champion, powered his Auto Club Chevrolet Camaro SS to a pass of 4.073 at 310.63 to defeat 2016 world champion Ron Capps in the final round. Hight drove past Cruz Pedregon, points leader Courtney Force and Bob Tasca III to reach his fourth final round of the year. 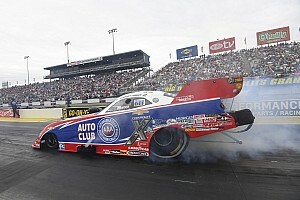 The victory was the first at Route 66 Raceway for Hight, a 42-time event winner. Coughlin beat Alex Laughlin, Matt Hartford and Tanner Gray to reach the final round. He also jumped to 10th in points, becoming the eighth different winner in Pro Stock through the first nine races of the season. Anderson, who is still seeking his first win of 2018, grabbed the points lead over Vincent Nobile with his final-round berth. Two-time world champion Smith earned his first victory of 2018 and 19th of his career with a run of 6.816 at 195.87 on his Victory Magnum in the final round. Smith bested Steve Johnson, Jim Underdahl, points leader and No. 1 qualifier Andrew Hines, and LE Tonglet in the final round to lock down his first career victory at Route 66 Raceway. Smith also moved to sixth in the points standings. TOP FUEL: 1. Clay Millican; 2. Leah Pritchett; 3. Doug Kalitta; 4. Blake Alexander; 5. Luigi Novelli; 6. Scott Palmer; 7. Billy Torrence; 8. Kyle Wurtzel; 9. T.J. Zizzo; 10. Pat Dakin; 11. Steve Torrence; 12. Richie Crampton; 13. Brittany Force; 14. Tony Schumacher; 15. Terry McMillen; 16. Antron Brown. Final: Clay Millican, 3.894 seconds, 289.32 mph def. Leah Pritchett, 4.501 seconds, 192.08 mph. FUNNY CAR: 1. Robert Hight; 2. Ron Capps; 3. Bob Tasca III; 4. John Force; 5. Courtney Force; 6. 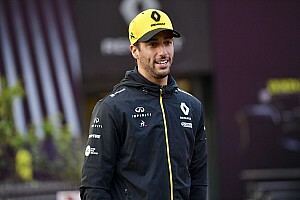 Matt Hagan; 7. Shawn Langdon; 8. Jack Beckman; 9. J.R. Todd; 10. Justin Schriefer; 11. Jonnie Lindberg; 12. Tim Wilkerson; 13. Jim Campbell; 14. Cruz Pedregon; 15. Tommy Johnson Jr.; 16. Dale Creasy Jr.. Final: Robert Hight, Chevy Camaro, 4.073, 310.63 def. Ron Capps, Dodge Charger, 4.310, 230.21. PRO STOCK: 1. Jeg Coughlin; 2. Greg Anderson; 3. Tanner Gray; 4. Vincent Nobile; 5. Matt Hartford; 6. Deric Kramer; 7. Jason Line; 8. Erica Enders; 9. Alex Laughlin; 10. Chris McGaha; 11. Drew Skillman; 12. Mark Hogan; 13. Dave River; 14. Tim Freeman; 15. Bo Butner; 16. Wally Stroupe. Final: Jeg Coughlin, Chevy Camaro, 6.574, 210.67 def. Greg Anderson, Camaro, Foul - Red Light. PRO STOCK MOTORCYCLE: 1. Matt Smith; 2. LE Tonglet; 3. Andrew Hines; 4. Hector Arana Jr; 5. Eddie Krawiec; 6. Angie Smith; 7. Jim Underdahl; 8. Ryan Oehler; 9. Jerry Savoie; 10. Steve Johnson; 11. Joey Gladstone; 12. Scotty Pollacheck; 13. Hector Arana; 14. Kelly Clontz; 15. Marc Ingwersen; 16. Cory Reed. Final: Matt Smith, Victory, 6.816, 195.87 def. LE Tonglet, Suzuki, 6.862, 193.24. Top Fuel: 1. Steve Torrence, 712; 2. Clay Millican, 687; 3. Leah Pritchett, 582; 4. Tony Schumacher, 578; 5. Doug Kalitta, 570; 6. Brittany Force, 471; 7. Terry McMillen, 464; 8. Antron Brown, 456; 9. Scott Palmer, 350; 10. Richie Crampton, 329. Funny Car: 1. Courtney Force, 728; 2. Jack Beckman, 647; 3. Robert Hight, 624; 4. Matt Hagan, 601; 5. J.R. Todd, 539; 6. Ron Capps, 535; 7. Tommy Johnson Jr., 522; 8. Cruz Pedregon, 433; 9. Shawn Langdon, 429; 10. John Force, 383. Pro Stock: 1. Greg Anderson, 653; 2. Vincent Nobile, 647; 3. Erica Enders, 594; 4. Deric Kramer, 592; 5. Tanner Gray, 575; 6. Bo Butner, 550; 7. Drew Skillman, 529; 8. Chris McGaha, 527; 9. Jason Line, 499; 10. Jeg Coughlin, 487. Pro Stock Motorcycle: 1. Andrew Hines, 348; 2. Eddie Krawiec, 345; 3. Scotty Pollacheck, 278; 4. LE Tonglet, 249; 5. Jerry Savoie, 240; 6. Matt Smith, 235; 7. Hector Arana Jr, 233; 8. Hector Arana, 192; 9. Angelle Sampey, 187; 10. Cory Reed, 173.